All the available eyeliners come under these three categories. The features of these three types are different, and the pattern of usage is also different. Let’s discuss the different features and usages of the above said eyeliners. Liquid eyeliners are the best in quality and most widely used. When the other two types are not available, this eyeliner can solve all the purpose. This liquid eyeliner is applied with a thin brush which comes with the bottle only. This type of eyeliners is enriched with pigments and very rich in color. It is very easy to apply. But one needs to be bit conscious at the time of applying the liquid eyeliner. Because chances of making mistakes are very high in these types of eyeliners. Liquid eyeliners are also available in a variety of colors now a day. But the only problem is these types of liquid eyeliners take a bit time to get dry. This eyeliner is best to create clean lines across the eyelashes. Cream eyeliners are as same as the pencil liners. These liners are very smooth and very easy to apply. These liners are also very creamy in nature. The application time is less compared to the liquid liners. The chances of mistake are also less because of the pencil pattern. The grip will be better compared to the thin brush off the liquid liners. If any mistake happens then, it can be easily removed by any makeup cleanser. These cream based liners will not get smudged with the makeup cleanser. This is the best advantage of the cream liners. These types of liners are available in small pots and can be used with the gel liner brush. The brush will be used to make a thin line or a thick line with the gel liners according to preferences. 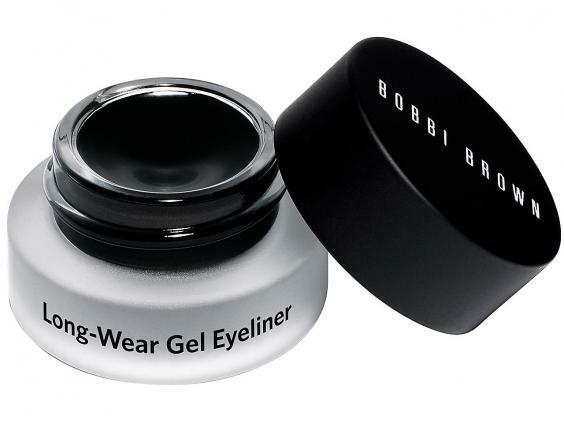 Gel eyeliners are very easy to apply, and this is just smudging free. The light texture of the liners makes it very easy to apply. This gel eyeliner stays for all through the day. These are the three important types of liners and can be used for a variety of purposes.